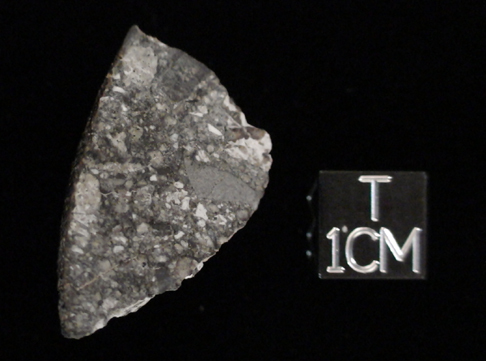 Lunar meteorites are of major scientific importance because they probably originate from areas of the Moon that were not sampled by the Apollo or Luna missions. 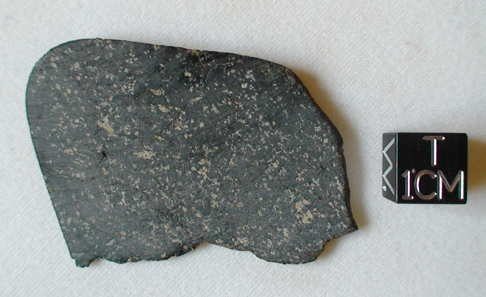 Most lunaites in our collections obviously have been blasted from the lunar highlands that cover the far side of the Moon. 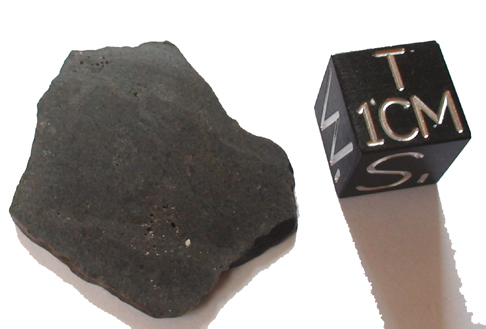 Only a few lunar meteorites have their origin from the smooth lowlands, the maria of the near side, which served as the preferred landing sites for the Apollo missions. 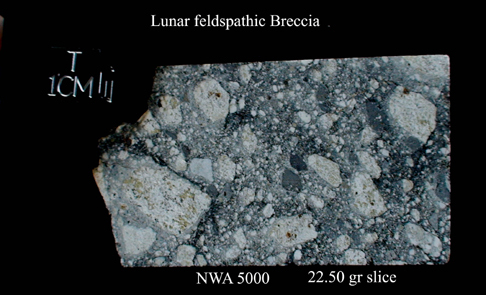 Four different types of lunar rocks have been sampled in the form of meteorites thus far: anorthositic highland rocks (LUN A), mare basalts (LUN B), mare gabbros (LUN G), and a unique lunar norite (LUN N), representing the deep, olivine-rich layers of the lunar crust. 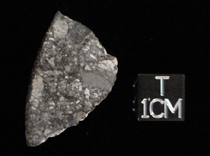 All of these meteorites share the typical features of lunar rocks, e.g., similar manganese to iron ratios, and oxygen isotopic compositions that plot on the terrestrial fractionation line. 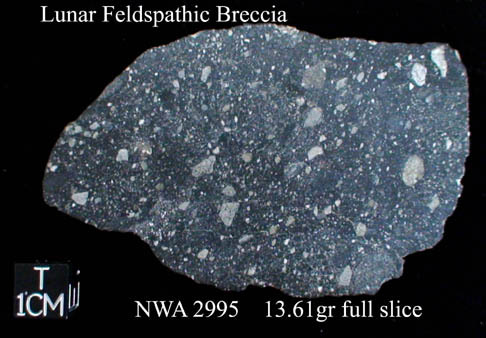 very nice breccia + free iron !! 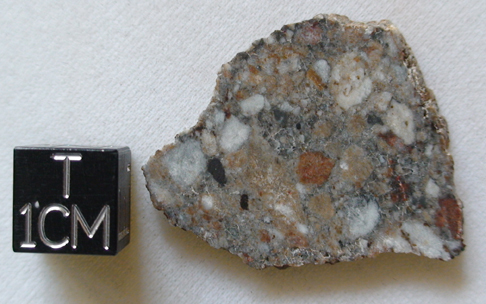 NWA 482 Full Slice !!! 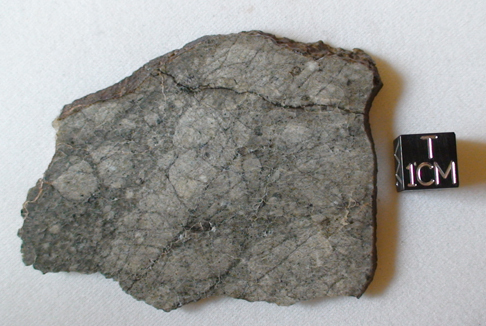 very fresh specimen, nice shock veins web in the matrix.